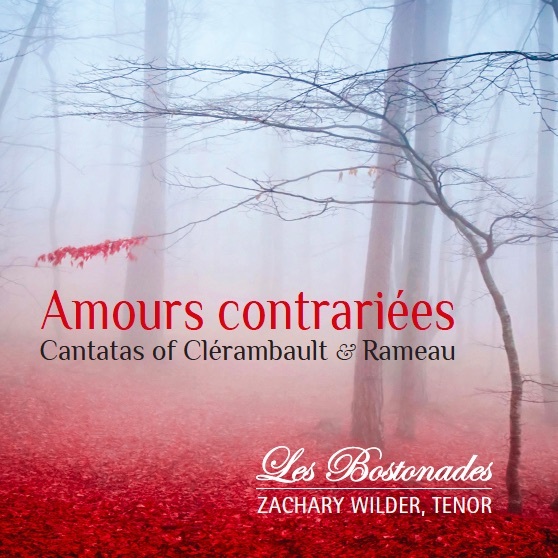 Les Bostonades' new CD Amours contrariées (recorded for the Centaur label) is now available via HBDirect, ArkivMusic, Amazon.com, iTunes, and Spotify. This album contains a selection of the most celebrated French Baroque cantatas — stories of star-crossed love, as well as instrumental works — by two influential French Baroque composers, Louis-Nicolas Clérambault (1676–1749) and Jean-Philippe Rameau (1683–1764). Did you purchase a digital download of this album? Download the liner notes in PDF format here.